The Arizona Diamondbacks announced on Wednesday they have reached an agreement on a two-year contract with Alex Avila. Ken Rosenthal of Fox Sports reported the infielder's deal is worth $8.25 million. Avila cooled off a bit following his trade to the Chicago Cubs in July, but he still finished with 14 home runs and 49 RBI, both of which were the second-highest totals of his career behind his All-Star season in 2011. Avila also boasted a .264/.387/.447 slash line. Despite his success at the plate, Avila is unlikely to be a significant difference-maker for Arizona. For one, he has counted on some good luck at the plate the last couple of years. Among batters with at least 500 plate appearances between 2016 and 2017, Avila's .369 batting average on balls in play tied for first in MLB with Jon Jay, according to FanGraphs. BABIP can be fickle from year to year because it depends in part on the opposing defense. It wouldn't be surprising if Avila's average fell noticeably in 2018. However, Avila's success at the plate in 2017 wasn't all smoke and mirrors. He drew walks frequently (16.5 percent of his plate appearances), and his line-drive rate (27.6 percent of his batted balls) was third-best of his career, according to FanGraphs. In May, Avila shot down the notion that a change in his approach or swing mechanics were contributing to his improved hitting. "The ball is just finding the holes," he said, per the Detroit Free Press' Jeff Seidel. "I haven't changed anything, really." "The swing is the same. He's swinging the bat more often, particularly going to the opposite field. When he was going real good, when he was an All-Star and even before that, his entire career, even when he was a little kid, he always hit the ball to the opposite field with power. And now, he's doing it again." Despite his encouraging returns on offense in 2017, Avila remained a liability against left-handed pitching, which is another concern about his value going forward. A career .212 hitter when facing lefties, he went 8-for-37 in 44 plate appearances versus left-handers between his time with the Tigers and Cubs. Avila likely needs to be benched when a southpaw gets the start for the opposing team. While that doesn't entirely negate his offensive contributions otherwise, it limits his overall usage. Avila's career trajectory looked to be pointing straight up after he had 19 homers and 82 RBI and won a Silver Slugger in 2011. Although he has never matched that production since—and likely never will—he has set a relatively consistent baseline for his power numbers over the last six seasons. Assuming he stays healthy—which is a concern after knee problems sidelined him in 2015 and a strained hamstring knocked him out of action temporarily in 2016—Avila is a solid addition to the Diamondbacks' lineup for 2018. 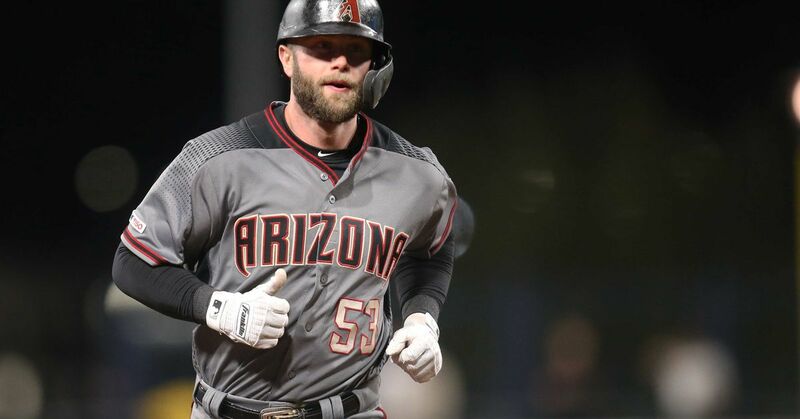 He's an offensive upgrade over Jeff Mathis behind the plate as well, shoring up what appeared to be a clear area of concern for Arizona this offseason.